Music is at the very heart of our school life. Woodhill Primary School is a singing school and the children are rapidly developing a repertoire of songs! 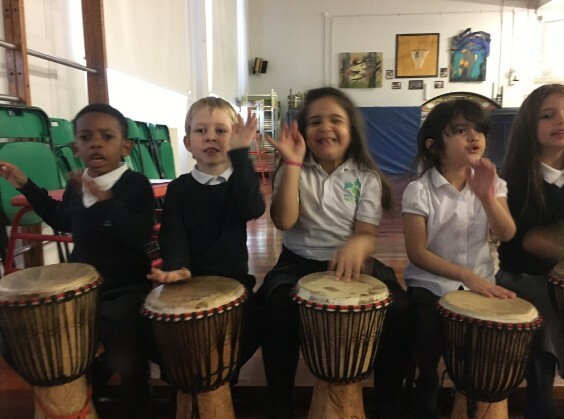 Alongside singing children will be learning how to play instruments, learn musical notation, and have access to a range of musical instruments from Glockenspiels and percussion instruments to recorders and keyboards. Each week Key Stage One and Key Stage Two have a 20 minute singing assembly. This gives us the opportunity to come together as a group and sing together. Key Stage One are currently learning a range of repertoire based on our Diversity and Identity topics alongside our Music Specialist Albert Buga. Key Stage Two are learning Raise My Voice with expert guidance from our Music Specialist Albert Buga. In every session the children focus on developing musicianship through a range of Music Theory exercises. We start every session with rhythm, vocal and breathing exercises that help to support the learning of the songs. Both KS1 and KS2 children receive a 40 minute session of music every week. We have ensured that this is consistent in order to develop children's music appraisal, composition and performance skills. Year 1 are currently developing their music appraisal, composition and performance skills. These fundamental skills of music will ensure that they develop as musicians through a focus on musicianship. They are learning the song “Good To Be Me” and will be learning to play the glockenspiels. Year 2 have been focused on developing musicianship through a range of warm-ups, singing exercises and songs. 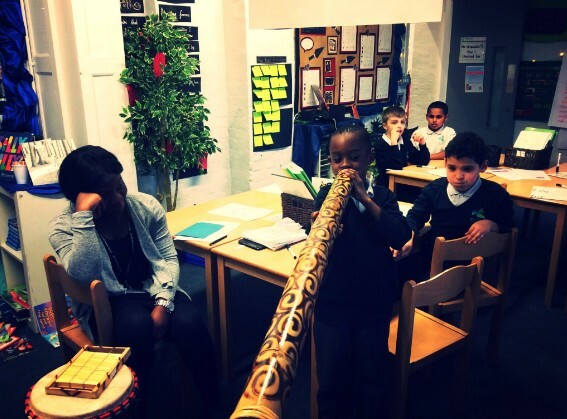 During this half term, they will also be learning the recorder in order to engage them further with music-making and ensure they make progress as musicians. They are learning the song “Beautiful” by Cristina Aguilera. 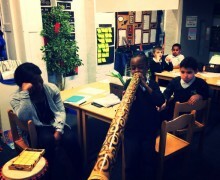 In Year 3, the children are learning Music Theory and they are learning a song about slavery as part of their topic. The song is called “Aint Gonna Le Nobody Turn Me Around” and it is about freedom and social injustice. They will continue to study the recorders later on in the term. Year 4 are delving into the song “We Are The World” by Lionel Richie and Michael Jackson, a song that was written to collect money for people in need. 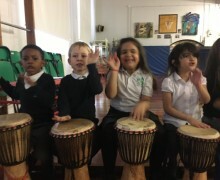 They are continuing to deepen their musical understanding last year and to learn how to read music. The children in Year 5 are learning about Mental Health and they are creating a song related to their real or imagined safe or peaceful space. They will use musical instruments and technology and will need to work well as a team in order to be able to deliver the project. The children in Year 6 are learning to create their own song inspired from bullying situations. They will use writing, singing, team work and drama to showcase this project. They will also have opportunities to learn the basics of playing the keyboard this year. The school choir will take their repertoire from the assemblies, repertoire studied in the classrooms as well as additional repertoire which they will be performing at events at school. They will strive towards excellence by learning more about vocal technique and expectations on the stage. We are very much looking forward to presenting them to the public.